A natural arch is a geological formation where rocky cliffs subject to erosion from the sea, rivers or weathering forms a rock arch. 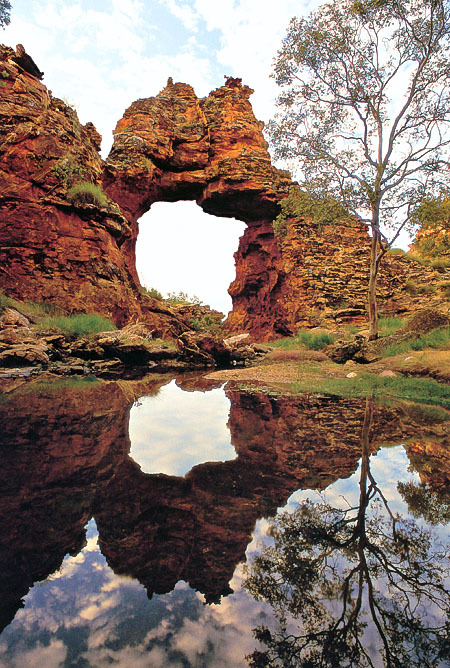 Some natural arch has a stream of water flowing underneath, in which case the arch is called a natural bridge. The distinction between a bridge and arch is somewhat arbitrary. The Natural Arch and Bridge Society identifies a bridge as a subtype of arch that is primarily water-formed. By contrast, the Dictionary of Geological Terms defines a natural bridge as a “natural arch that spans a valley of erosion.” The correct method to measure an arch is also debated because of which the reported measurements often varies from source to source. Under these circumstances to prepare an irrefutable list of the world’s largest or longest or highest natural arch is impossible. Amidst this confusion new discoveries and potential candidates always keep popping up around the globe. 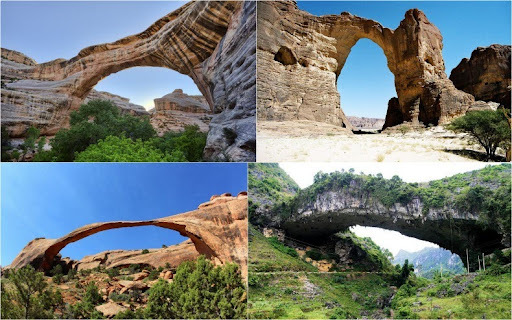 This entry was posted in Arch structures, Newton and tagged Natural Arch and Bridge Society, Natural arches. Bookmark the permalink.